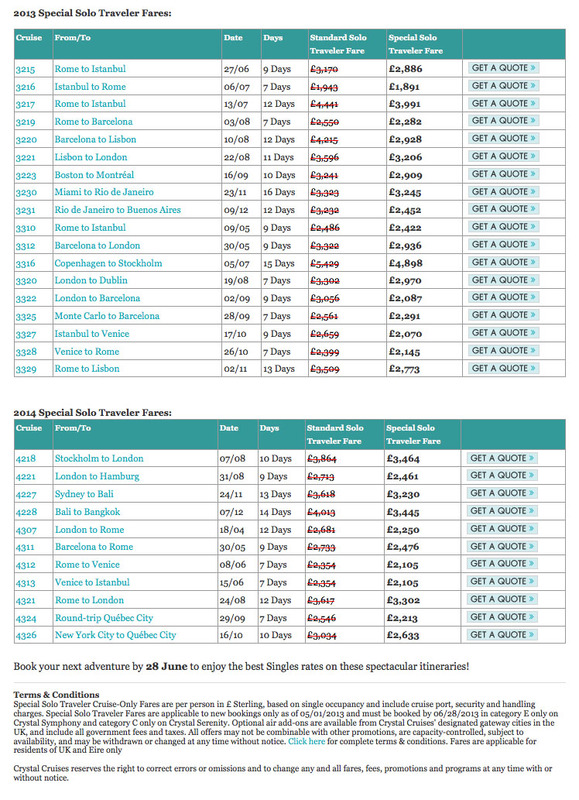 Crystal Cruises has announced special reduced single supplement offers on a number of voyages in 2013 & 2014. With supplements as low as 10% there has never been a better time to experience Crystal Cruises. Offer expires 28th June 2013.